The Budget is the ultimate piece of domestic political theatre. The Queen's Speech may have the best pictures but its contents are always widely known and the speech itself is deliberately starchy. By contrast, the Budget offers the Chancellor an hour of (largely) uninterrupted broadcast time to set the political narrative, lay traps for political opponents, offer inducements to supporters and remind backbenchers of the leadership credentials of the man with the money. Like Gordon Brown before him, George Osborne is a Chancellor who maximises all these opportunities even when they bring hidden risks that cause problems later. For bodies like the ABI, the Budget is also a government exercise in the power of information asymmetry. For most of the year, our constructive engagement gives us a good insight into policy options and development, enabling us to shape direction of travel and represent member views. The Budget process gives Government the opportunity (and duty) to bring down the shutters leaving us with a difficult set of choices about how loudly we campaign publicly on decisions that could have a profound impact on the industry's customers. Say nothing and we make it easier for the Government to impose tax increases - like last summer's IPT hike from 6% to 9.5%. But if we cry wolf on everything, we quickly lose credibility with ministers, MPs and media. This year's Budget has brought these tensions into focus. On pension tax relief, we engaged publicly and privately on the case for a flat rate 'Savers' Bonus' reform and warned against the huge risks of a Pension ISA system. All of our arguments were public but much of our detailed work took place privately with officials poring over models and doing highly technical analysis with them on how a flat rate system could work. We remain pleased that [Government] stepped back from inflicting huge damage to the auto-enrolment policy which has been such a success so far. For us, a turning point was in early February when it became clear from high level engagement with ministers and senior officials that the pendulum had swung back in favour of making a Pension ISA work. At this stage, we decided to mount a much more aggressive campaign against it, including more emphasis on the highly disruptive effect it would have on auto-enrolment. This struck a nerve with MPs and chimed with the previously publicly stated views of the Pensions Minister, Baroness Altmann which she bravely restated at a critical point in the debate. We also started to argue more forcefully that retaining the (flawed) status quo would be preferable to a highly damaging Pension ISA reform which also resonated with many MPs. This was ultimately where the Government ended up and we remain pleased that they stepped back from inflicting huge damage to the auto-enrolment policy which has been such a success so far. On IPT, our challenge was to get enough media and parliamentary attention. Too many journalists and MPs assumed that last year's increase would not be repeated and we were therefore just shouting in the dark. We had good reason from within Government to believe an increase was being contemplated so this was frustrating. We also repeatedly pointed out to people that with tax credit cuts having been abandoned, last year's IPT increase was the single biggest revenue raiser in the summer Budget, worth £8 billion over the lifetime of the Parliament. Eventually, through dogged media work and illustrating the impact on average Health and Pet policies, we managed to get some cut through but it was only when the AA joined the cause that we got front page coverage; everyone needs allies to make their case. We must avoid the position where every time there is a winter flood, the Chancellor feels obliged to increase IPT to pay for some extra flood defences, or anything else. We will never know whether our campaigning prevented a bigger increase but I am clear we need to stay vigilant from now on and join with insurers to make it more difficult for the Government to raise IPT on the quiet. The Chancellor's decision to nominally hypothecate the increase to pay for flood defence spending has provoked a mixed response within the industry. Personally, I think it is a slippery slope and we have to continue to argue for all flood defence spending to come from central expenditure; this should be a core part of our country's resilience, not an afterthought. We must avoid the position where every time there is a winter flood, the Chancellor feels obliged to increase IPT to pay for some extra flood defences, or anything else. So plenty to reflect on in this year's Budget, both in substance and how we campaign for the future. We also achieved significant wins on CMC regulation and the Pension Dashboard through our trusted relationship with the Government so it can never be a simple case of publicly campaigning aggressively on every issue. 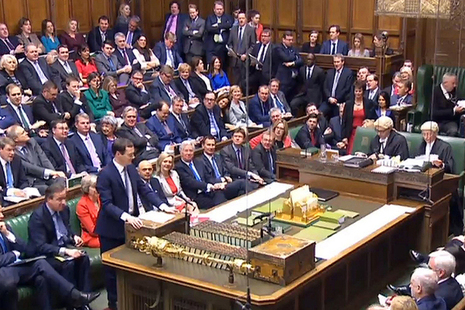 Just as the Budget involves fine political judgements for the Chancellor at the despatch box, it also means we too have to pick our battles and adjust our tactics where necessary to maximise our influence.